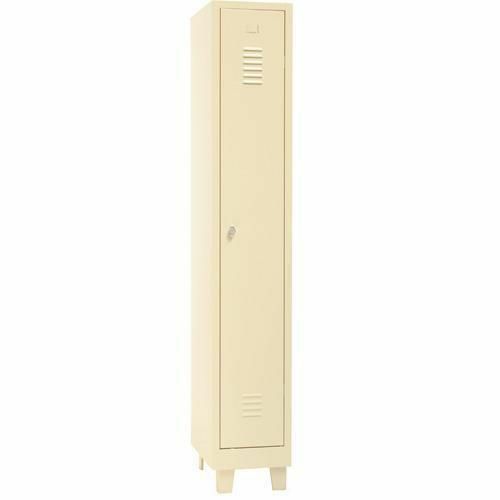 Locker fitted with hat shelf, coat hanger and ventilation at top & bottom of door. Supplied with hasp lock and label holders on the door. Flat top single door locker mounted on feet allowing for easy cleaning underneath.